While I hope your weekend is going to be full of gaming, there's possibly going to be some downtime in there as well. That's alright, those downtimes can still be full of gaming. 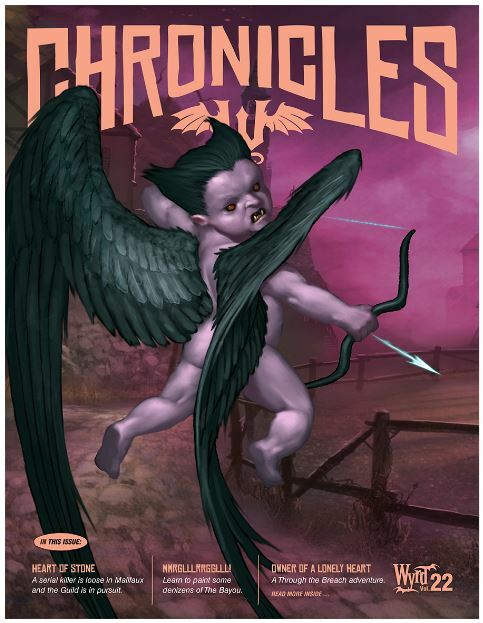 For example, you could take a look at Wyrd Chronicles Issue 22, which is available for free now to download. So, what can you expect in this issue? Well, they've got a look at the Schemes coming out in 2016. There's also a Valentines-themed scenario for both Malifaux and a one-shot for Through The Breach. There's a couple fluff pieces, as well as hobby articles about making some terrain as well as painting up your Spawn Mother and Gupps. All that and more, and again, it's free!